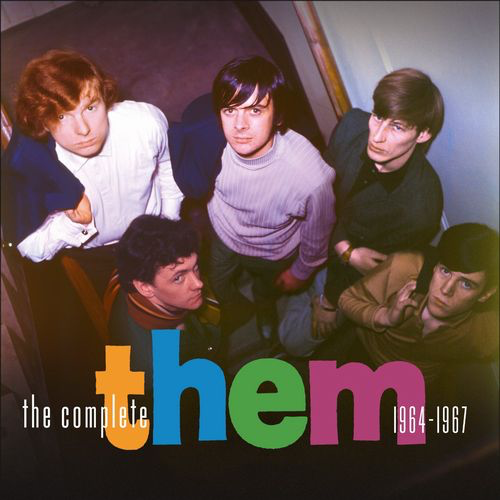 This excellent compilation covers the "Van Morrison years", before he left this Northern Irish r'n'b group to pursue his solo career. Most of it is in a glorious, full, bass mono sound and shakes your speakers with its punch. 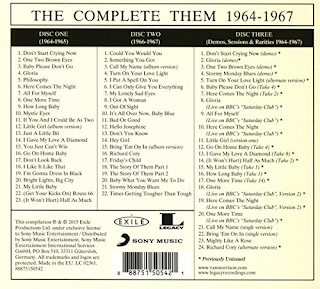 The compilation covers firstly - the singles and 'b' sides that were not included on albums, including rarities like the excellent "One Two Brown Eyes" and the hits "Baby Please Don't Go" and the wonderful "Here Comes The Night"; secondly - the two Morrison albums - "The Angry Young Them" and "Them Again" and thirdly; some live cuts from BBC sessions, all of which are good in their sound quality, and some other tracks that didn't make it on to albums, like the impressive "Mighty Like A Rose" (which features stereo sound), and several "alternative takes" of the earlier album tracks. This release gives you pretty much everything you need from Van Morrison's period with this influential and adventurous group. 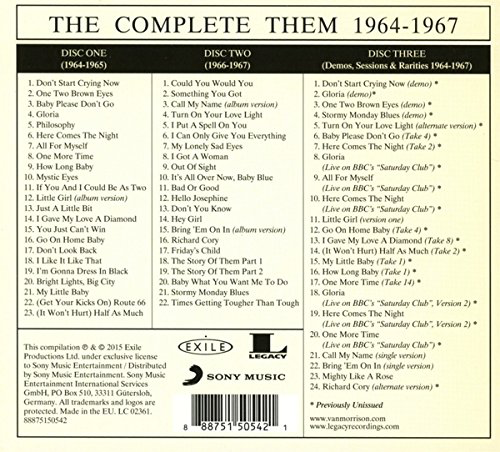 Yes, they leant heavily on Rolling Stones and Animals influences, particularly on their debut album, but they also forged a unique sound themselves - utilising jazzy sounds, saxophones to deliver a style of r 'n' b that was quite unique and considerably different in many ways to that of their many contemporaries.